Fourteen-year-old Alex has no idea that he's descended from the world's most famous vampire hunter, but that changes fast when he arrives at Glenarvon Academy and confronts two vampires in his first three days. Turns out Glenarvon isn't the only school near Lake Geneva. Hidden deep underground lies an ancient university for vampires called the Scholomance. And the deadly vampire clan lord known as Icemaker? You might say he's a visiting professor. When two of Alex's friends are kidnapped by Icemaker, it's up to Alex to infiltrate the Scholomance and get them back--alive. 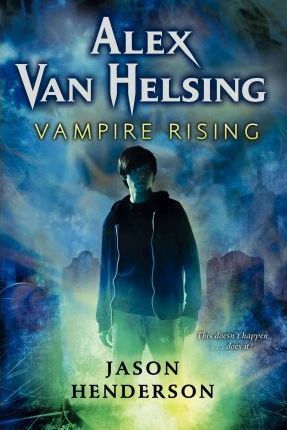 Assisted by the Polidorium, a top-secret vampire-hunting organization with buried ties to the Van Helsings, Alex dodges zombies, bullets, and lots--and lots--of fangs on his way to thwarting Icemaker's plans and fulfilling his family destiny.